All buildings need standards and regulations, and Harrison Eastoft certainly has the highest level of standards available for any building project. Since its inception in 1946, Harrison Eastoft has been building on experience and has the necessary expertise and knowledge for any project. We have a large portfolio of successful schemes, all naturally complying with the mandatory building regulations. Harrison Eastoft can ascertain and apply for your building regulations approval as part of any commercial or residential development project. We are adept at dealing with local authorities and buildings inspectors for all types of construction and alteration projects, and at all stages. We have a thorough understanding of building regulations, from the site preparation and drainage, to the ventilation and glazing. With one of our schemes, you will have no doubt about the knowledge, skills, workmanship and quality of materials. You can rely on us to provide high standards of work and effortlessly be compliant with all building regulations as part of our usual design and construction process. Harrison Eastoft boasts its own builders’ yard, and steel fabrication and joinery workshops, for exclusive use on its projects, to create bespoke solutions. This is especially useful for adhering to building regulations. We keep control to ensure that the highest quality and service is maintained at every stage and within the required timescale and budget. For guarantee, all of our steel framed buildings are fabricated to BS EN 1090-1 and carry the CE Mark. 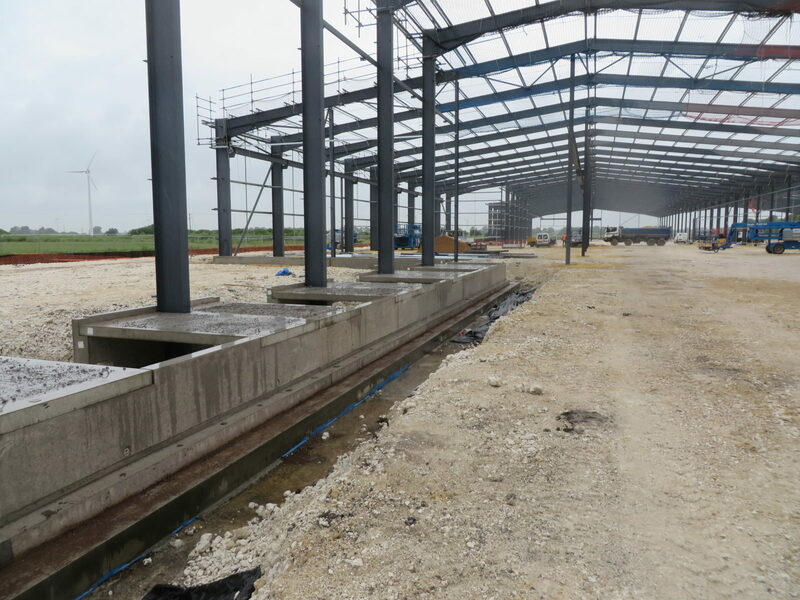 Harrison Eastoft has exemplary civil engineering capabilities, ensuring such factors as site preparation, access areas and drainage are all carried out to the highest of standards, and complying with building regulations. Harrison Eastoft has an extensive list of satisfied clients, all gratified by our high levels of service, reliability, quality, and attention to detail, which we have proven time and again. Harrison Eastoft is an experienced building contractor and has delivered high quality and safe solutions throughout all of its schemes. Our tradesmen are highly skilled and trained professionals, and have vast experience. Our safety record is as excellent as our service. I’m sure you would be impressed by our competence levels, as previous and current clients are. We are very proud of our achievements. Similar to building regulations, we have contractor principles within Harrison Eastoft. We have the necessary skills and experience to effortlessly provide the basic standards required for approval, but go beyond this to provide an exceptional high standard. For confidence in your building project, and for a thorough service each and every time, contact us. Harrison Eastoft can expand your ideas to create a building which meets all your expectations and requirements. To discover a solution surpassing your expectations please contact us. We have over 70 years experience in the field and have many repeat customers. Our expert design team can take your vision and draw up the plans to make it a reality. We pride ourselves on being a "one stop shop" for all your needs and have a wide range of expertise to help you. Orion Homes has over 4 decades of experience and like our business is family run. Can’t find what you’re looking for? Why not fill in our enquiry form and we’ll get back to you, or use the details below.